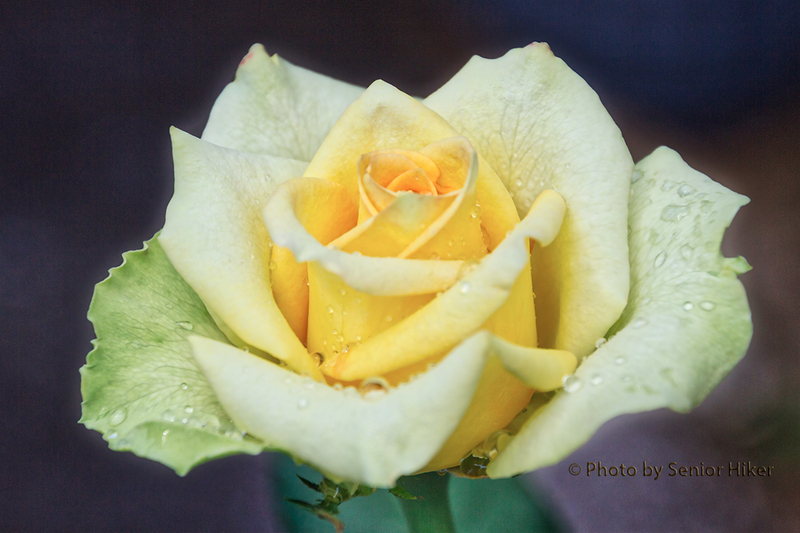 One of the newer roses that Betsy and I have in our garden is Saint Patrick. 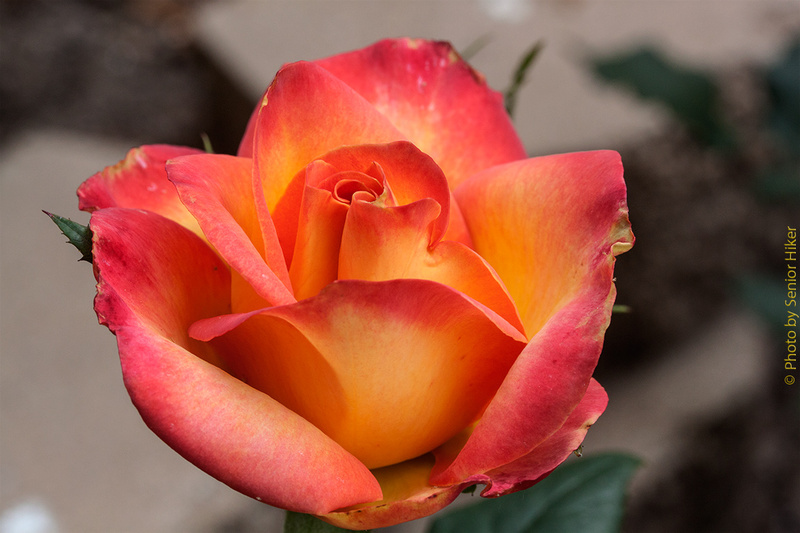 Saint Patrick is a hybrid tea rose that does very well in hot weather, which we’ve had plenty of over the past two years. When Saint Patrick buds, the yellow buds are tinged with green (some people say chartreuse) — see the photo above, and the hotter the weather the more green there is along the edges. But as the flower opens the green starts to fade away, and the yellow becomes more pronounced. This picture was taken the day after the one above. By the third day there is very little green left, and the blossom is a beautiful yellow or gold. The blossoms are quite large and last for quite some time. 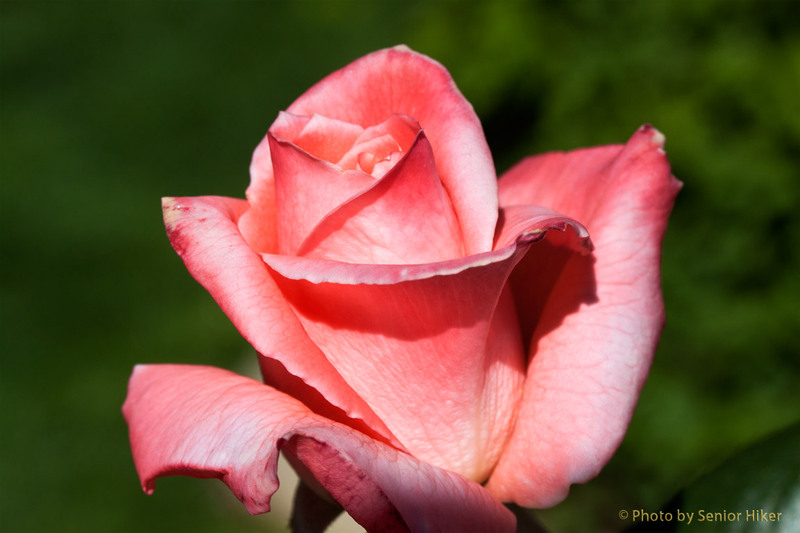 Saint Patrick is a rose we very much enjoy, especially during the heat of the summer. I’m sure it comes as now surprise that Betsy and I grow and love roses. 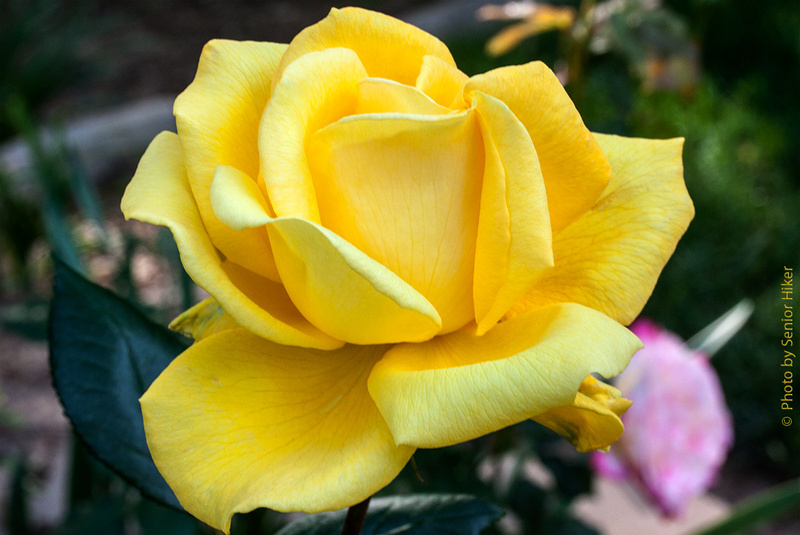 We have 57 varieties of roses in our yard. I think our rose garden has stopped growing, but we still need to replace roses once in a while. 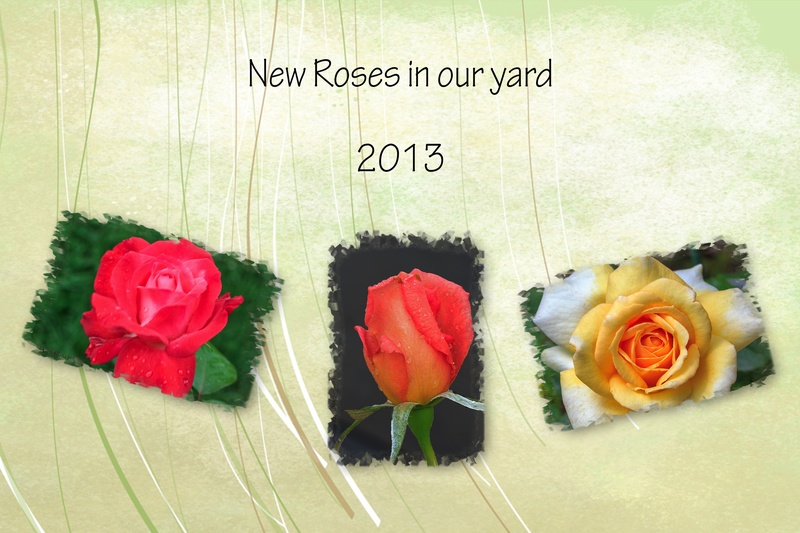 This year we had three new roses in our yard. The rose on the left in the collage above, Milestone, is a rose we first saw at Biltmore House and Gardens in Asheville, North Carolina, last year. I found it offered this Spring and ordered it. The other two roses both came from Heirloom Roses. 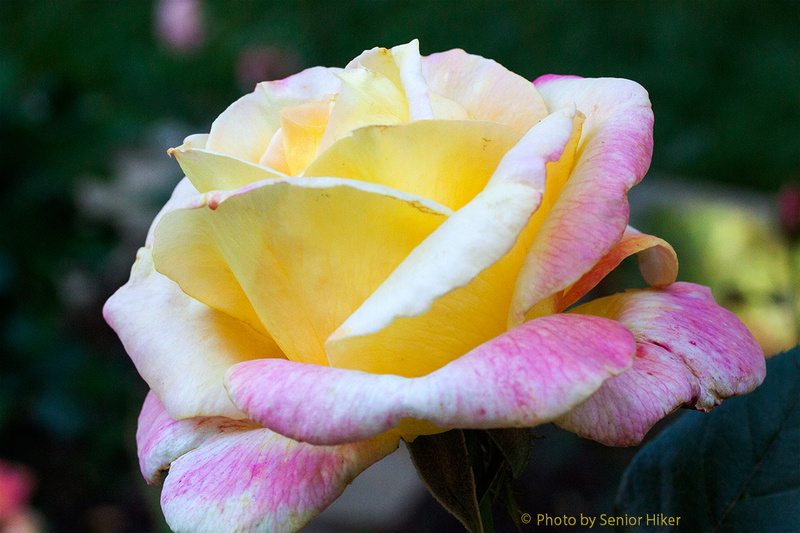 Helen Traubel, the rose in the middle, is an ‘old’ rose. 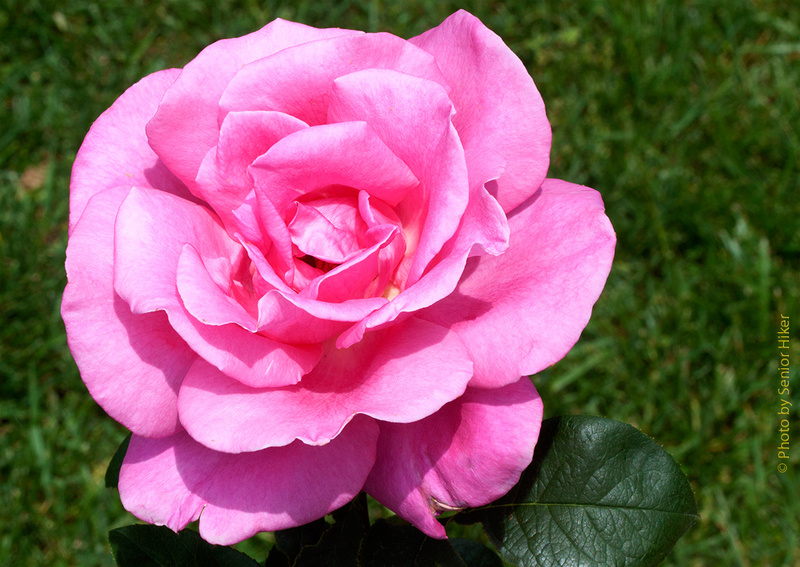 It was introduced in 1951, but it has a beautiful color and very nice fragrance. The rose on the right is Something Special. It is a fairly new rose. 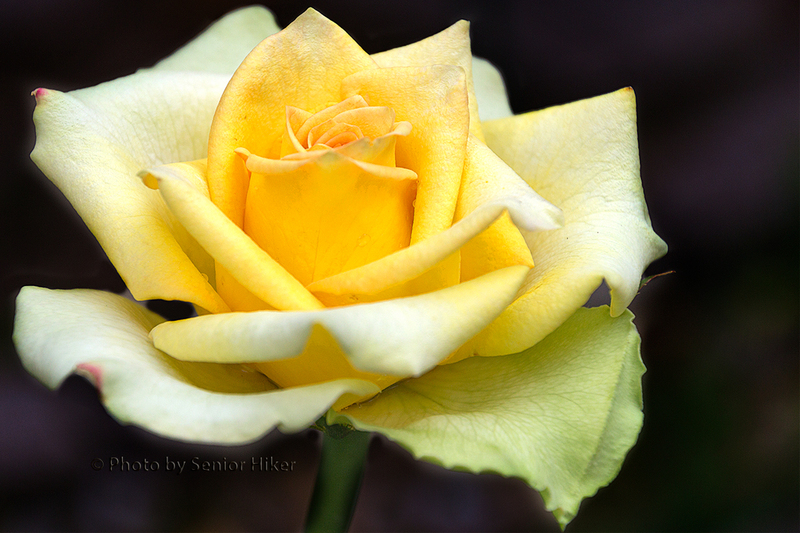 I like the way the white outer petals frame the yellow center. 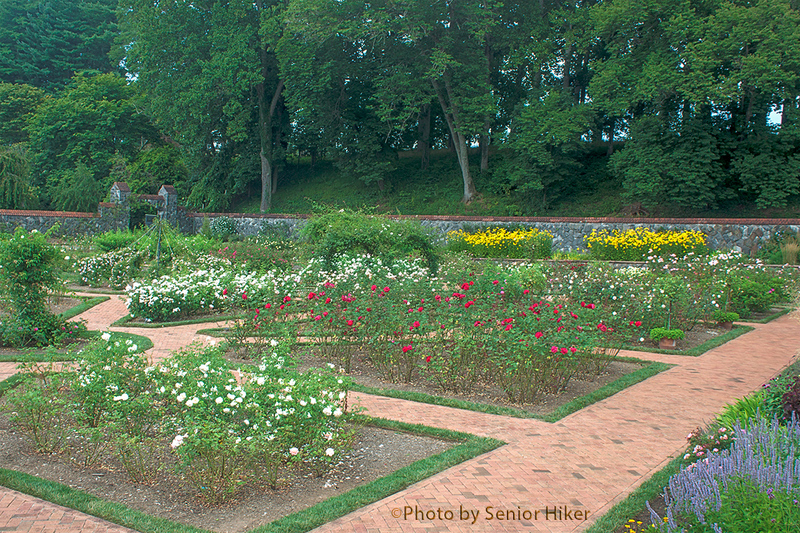 Part of the rose garden at Biltmore House & Gardens, Asheville, North Carolina. August 6, 2013. I’m beginning to think that visiting the Rose Garden at Biltmore House and Gardens is dangerous to the health of our wallet. 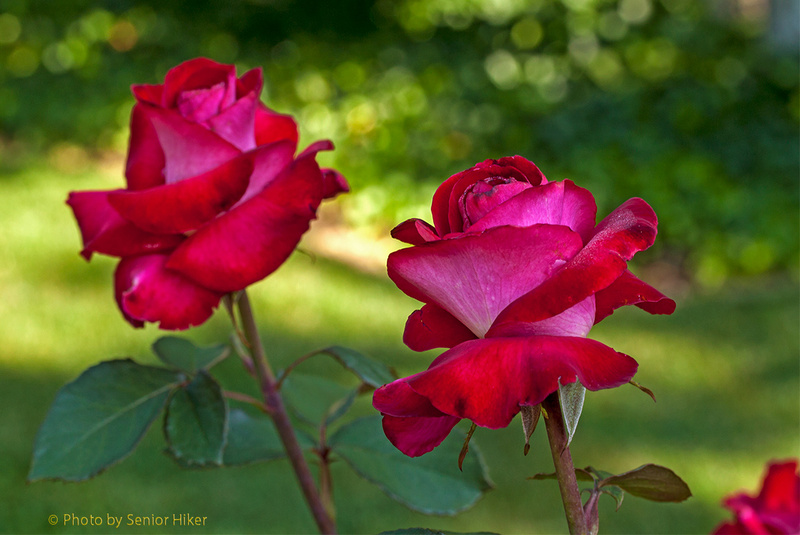 Each time Betsy and I visit the rose garden, one or both of us will find a rose that we think would look good in our yard. When we visited last year we found the Milestone rose, which we added to our garden this year. We went back to Biltmore in early August as part of our getaway for Betsy’s birthday. And sure enough, we both found some roses that we thought it would be nice to have. 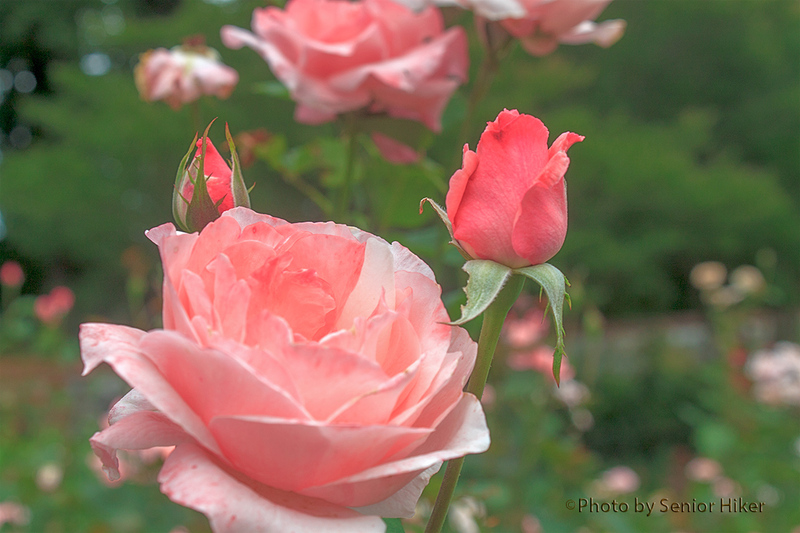 Francis Meilland rose, Biltmore House & Gardens, Asheville, North Carolina. August 6, 2013. The first one we found was Francis Meilland. This is a new rose that I’ve had my eye on for several months. Winter Sun rose, Biltmore House & Gardens, Asheville, North Carolina. August 6, 2013. Winter Sun is another new rose that both of us found to be very beautiful. 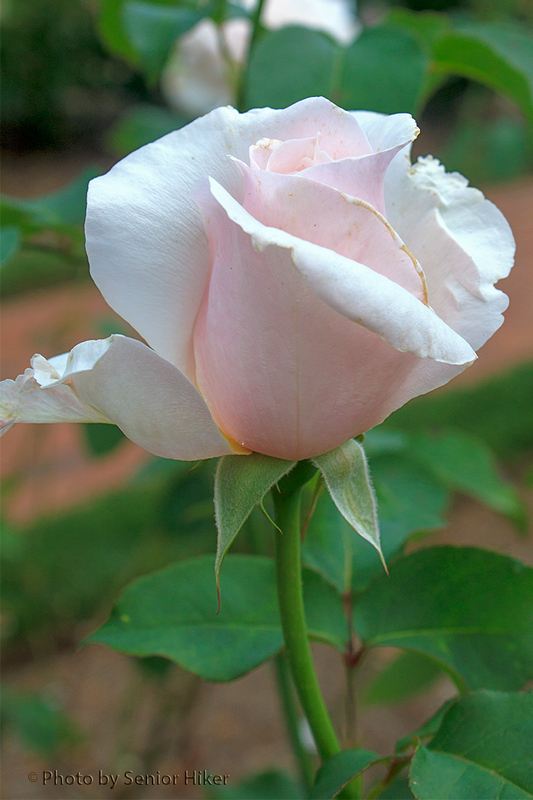 Sweet Afton rose, Biltmore House & Garden, Asheville, North Carolina. August 6, 2013. Sweet Afton was introduced in 1964. I’m not sure it is still available, but both Betsy and I liked its beautiful pastel colors. 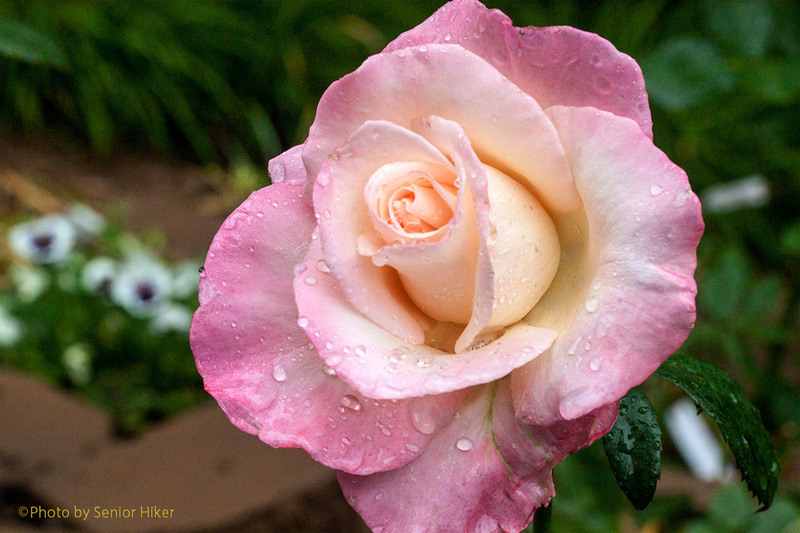 Queen Elizabeth rose, Biltmore House & Gardens, Asheville, North Carolina. August 6, 2013. 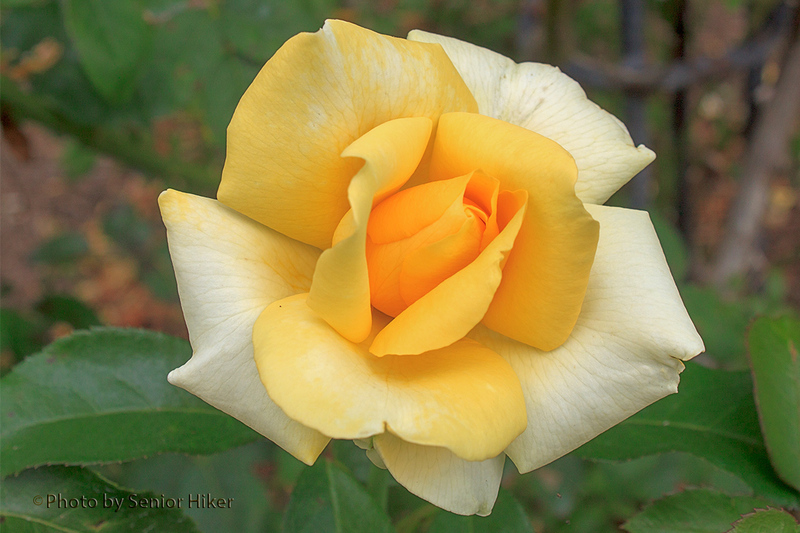 Queen Elizabeth is an even older rose (1955), but it is still a beauty. I have seen it offered by several sources. Do you have any suggestions for us? We’re running out of places to put roses in our yard, although I’m sure the deer would be delighted to have a few more rose bushes to munch on. 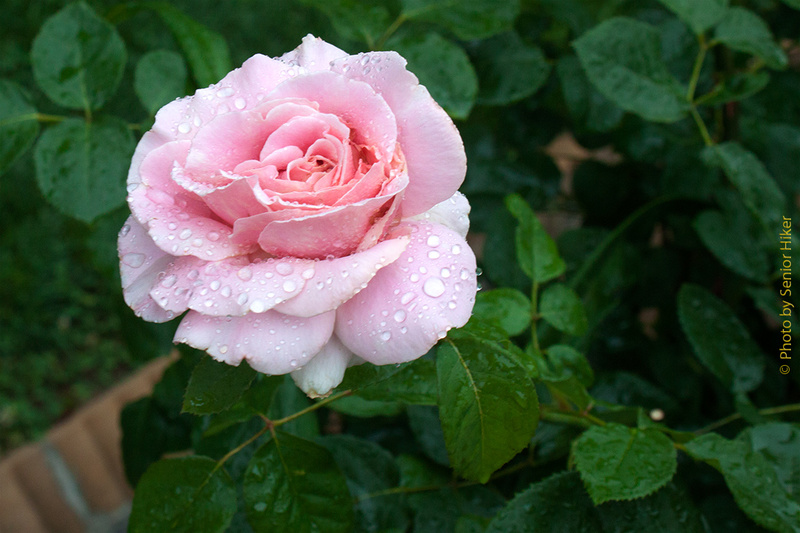 Most of our roses are average-sized bushes — three or four feet high. But we have one rose that likes to show off every couple of years and see how high it can grow. 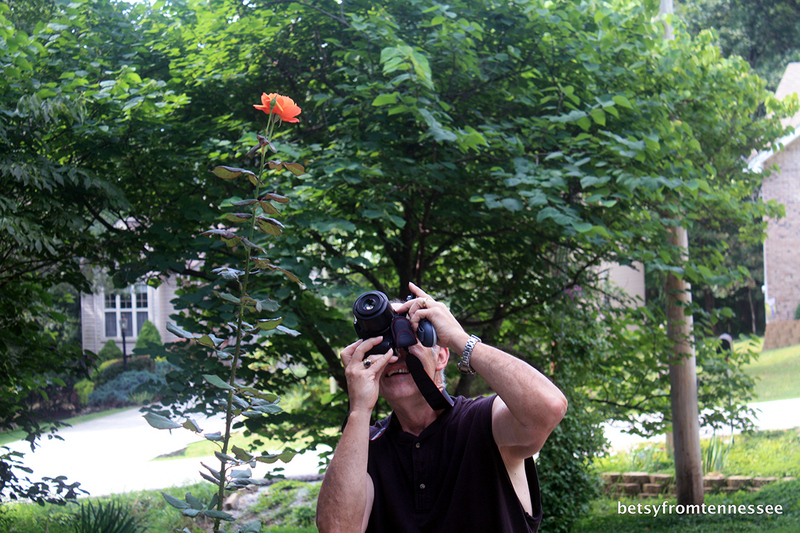 Betsy got the picture of me (above) trying to capture the top blossom on our About Face rose. To put this image into proper perspective, I’m 6-feet, 4-inches tall, and I’m shooting up to shoot the rose. The picture below is the photo I was shooting while Betsy was getting her picture of me. I rather like it, even if the flag in the background is blurry. 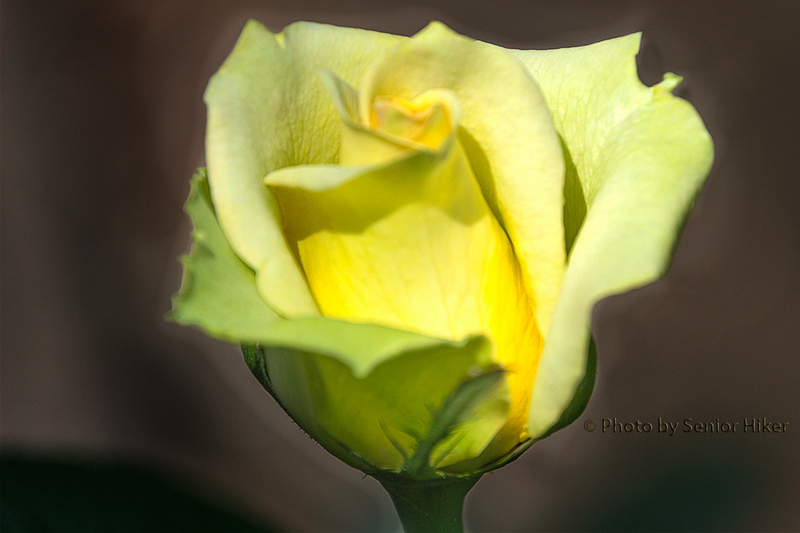 The morning light was bowing through the petals of the rose when I got this picture. About Face blossom with the flag in the background. July 21, 2013. Our front yard as seen from the road in front of the house, Fairfield Glade, Tennessee. June 1, 2013. 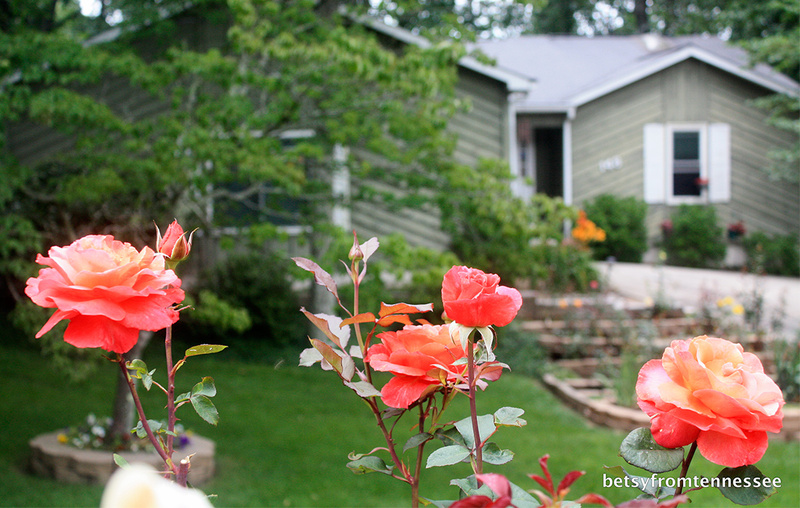 Many of you know that Betsy and I grow roses. 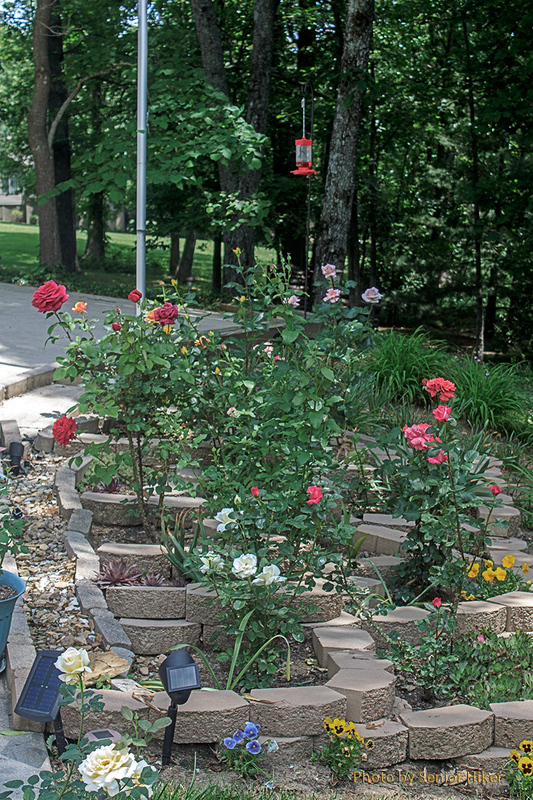 We have 57 different variety of roses growing in our yard, most of which can be seen in the photo above. This picture was taken from the road in font of our house. Our ‘big’ rose bed, with the new wall flower bed in the background. Fairfield Glade, Tennessee. June 1, 2013. The picture above was taken standing at the house looking toward the road. The rose bed in the foreground is our ‘big’ rose bed and contains 22 roses. This is our oldest rose bed. 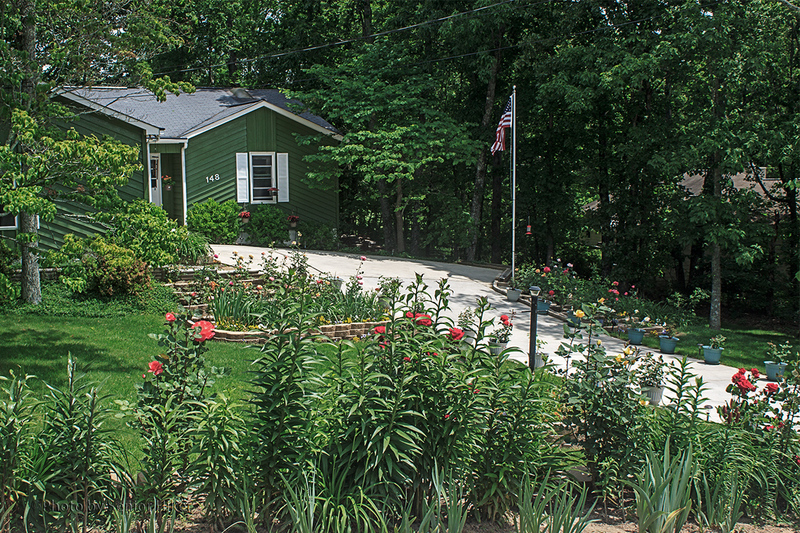 The rose bed in the background is along the road and contains 7 roses in addition tulips, iris, lilies and day lilies. We put in this flower bed after building the retaining wall. 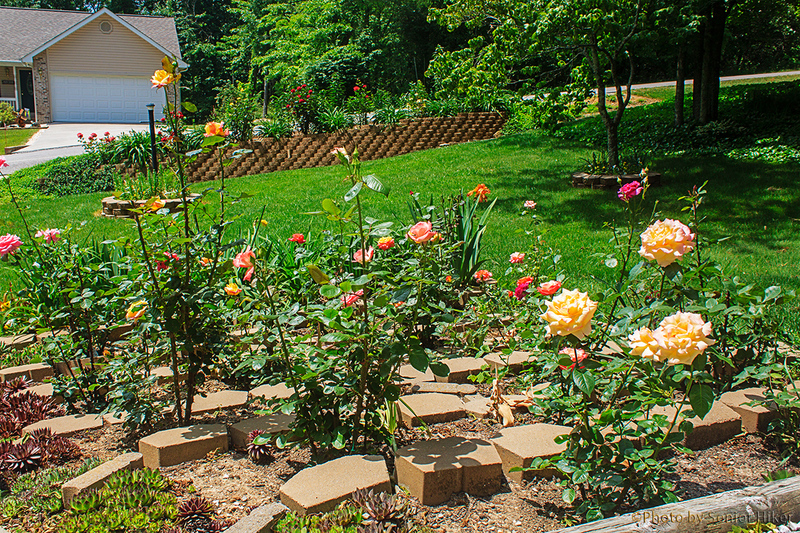 Our ‘small’ rose bed, Fairfield Glade, Tennessee. June 1, 2013. The rose bed on the opposite side of the driveway from our ‘big’ rose bed is the ‘small’ rose bed. It contains 10 roses. 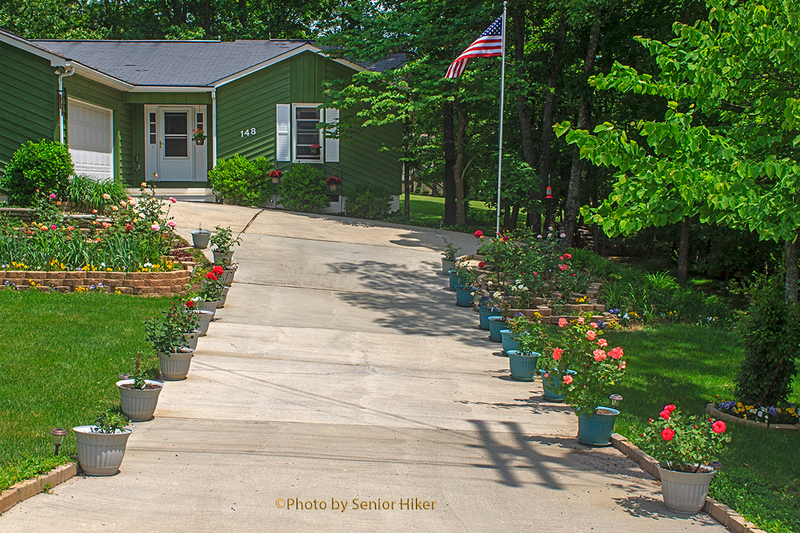 Container roses along the driveway, Fairfield Glade, Tennessee. June 1, 2013. Finally, we have ten container roses on each side of the driveway. Those of you who are mathematically inclined will note that the sum of the roses is 59, not 57. That’s because we have duplicates of two roses. I’m not sure how long that will continue. 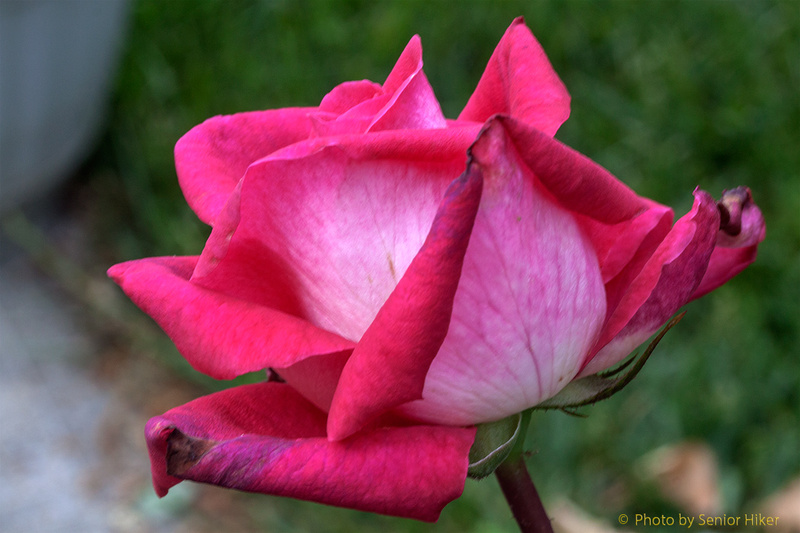 Crescendo rose, Fairfield Glade, Tennessee. June 11, 2012. 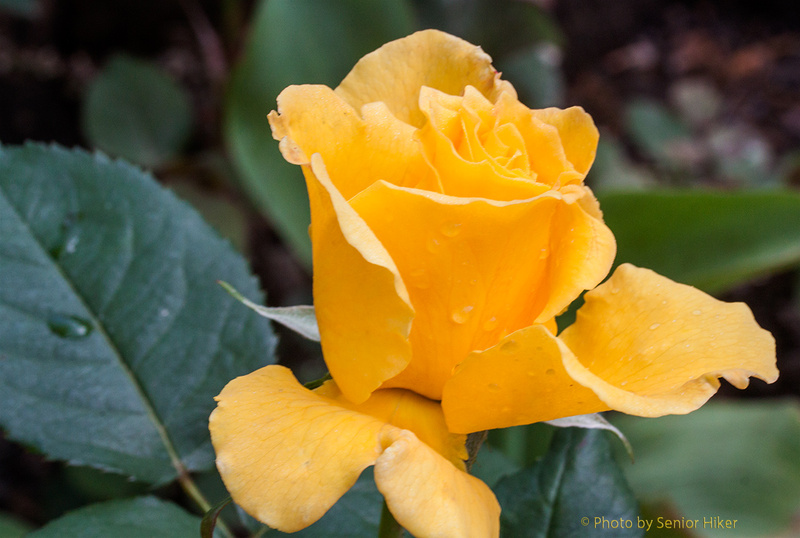 This is the eleventh and final post on the roses in our yard. 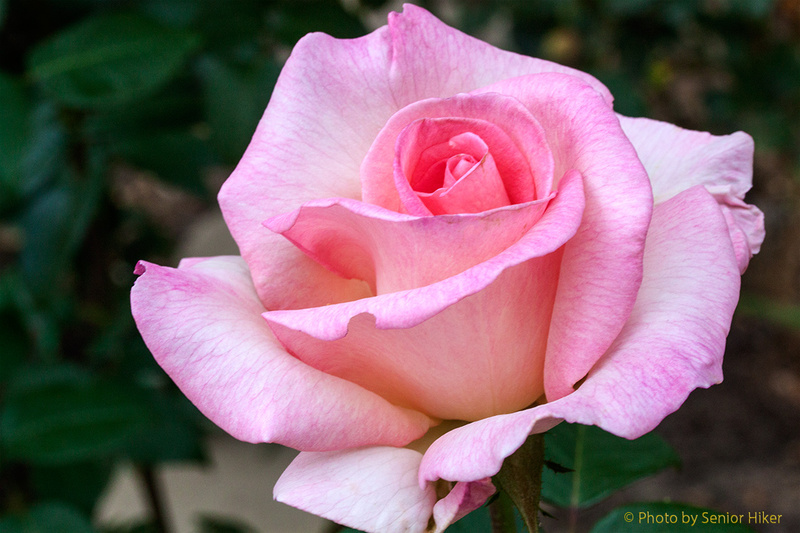 With this post I have shared all 55 rose varieties in our yard. The previous posts can be found by clicking on the tag ‘Roses’ below. 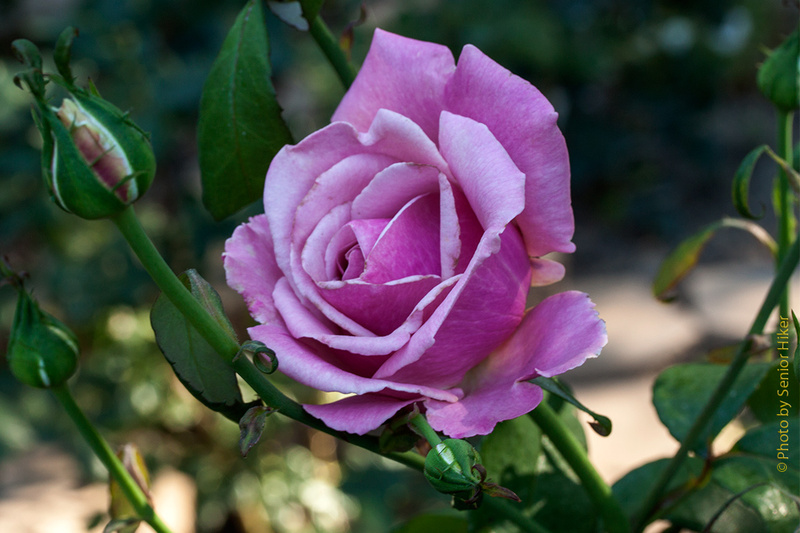 Crescendo (above) is one of our newer roses. It was Jackson & Perkins’ Rose of the Year a couple of years ago. 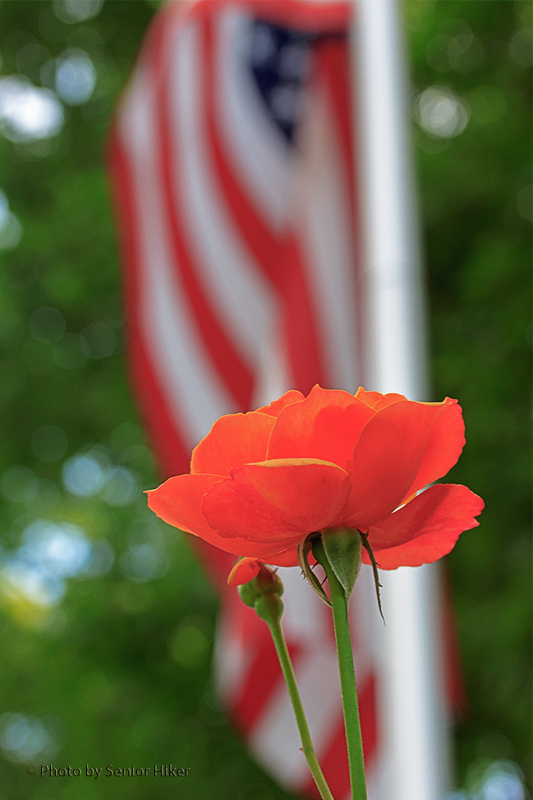 Memorial Day, Fairfield Glade, Tennessee. June 20, 2012. Memorial Day did actually begin blooming on Memorial Day a few years ago. It’s a beautiful, stately bush many wonderful blossoms. Moonstone, Fairfield Glade, Tennessee. June 13, 2012. 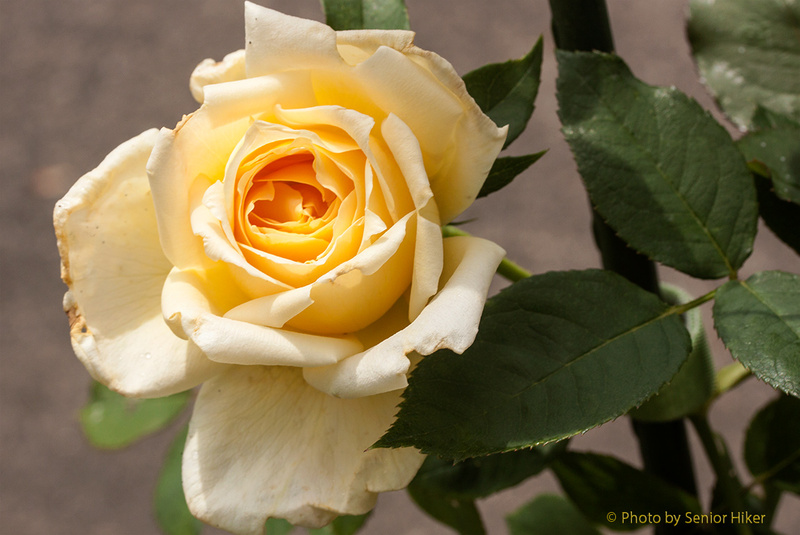 Moonstone is one of our container roses. The blossoms seem to get more beautiful as the rose bush ages. Peace, Fairfield Glade, Tennessee. June 20, 2012. 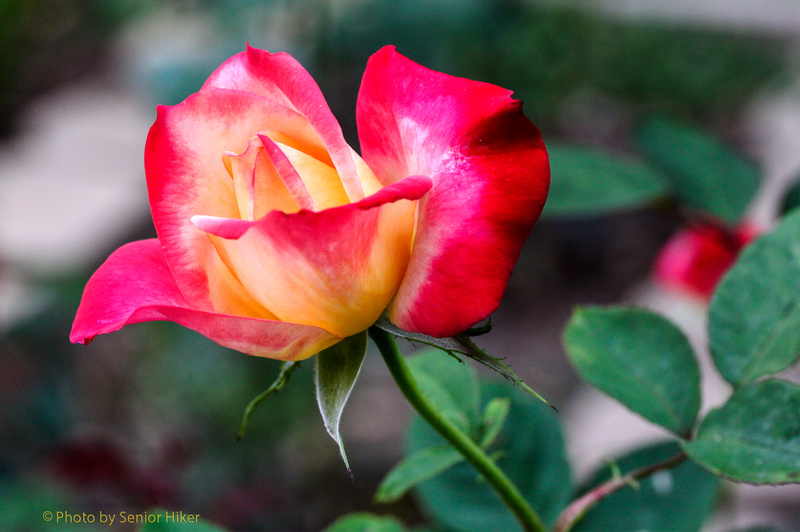 Peace is said to be the world’s favorite rose. It that’s true, I can understand why. 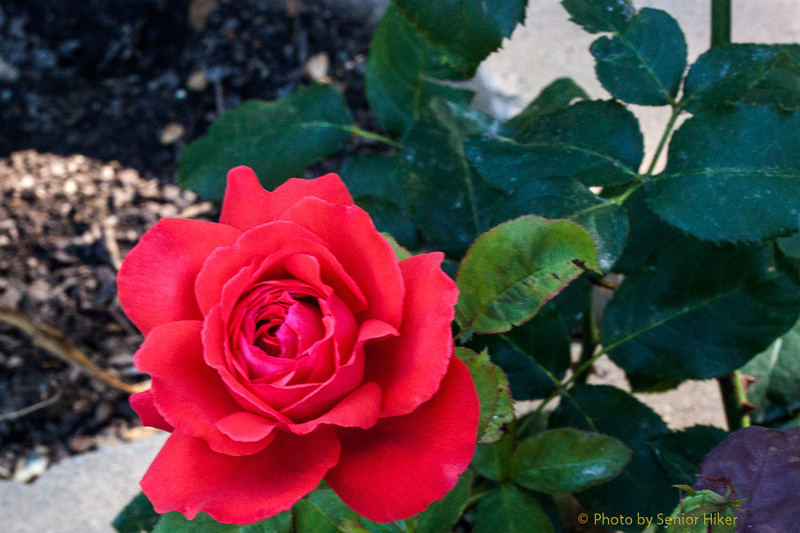 Peace was one of the first roses we got when we started our rose garden. 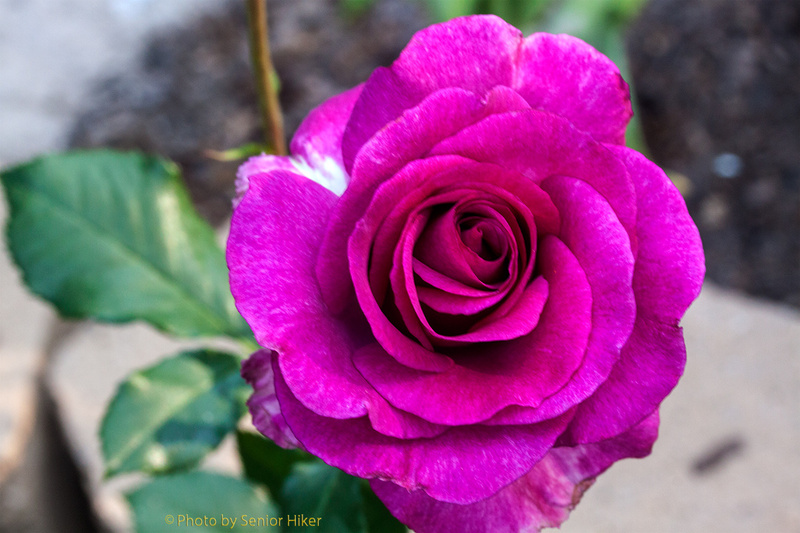 Sedona is another relatively new rose for us. The blossoms are a beautiful red/orange at the beginning, although the color changes as the blossom ages. 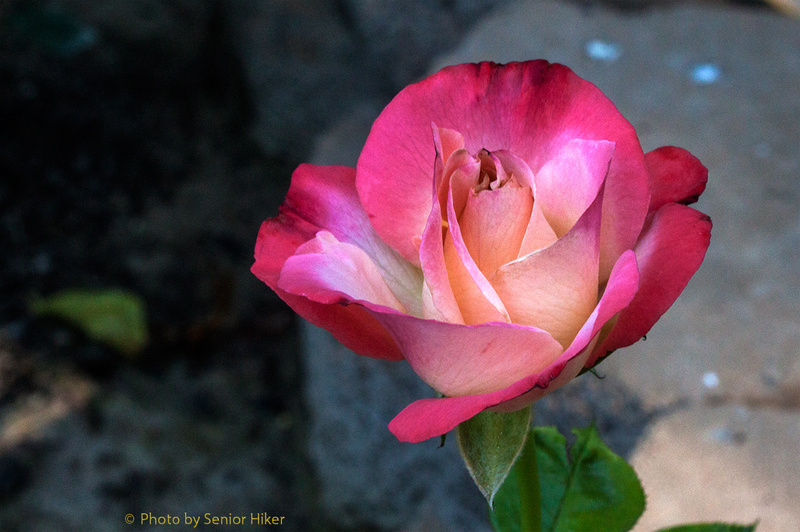 This rose got its name from the colors of the Arizona desert. Perfume Delight, Fairfield Glade, Tennessee. April 30, 2012. 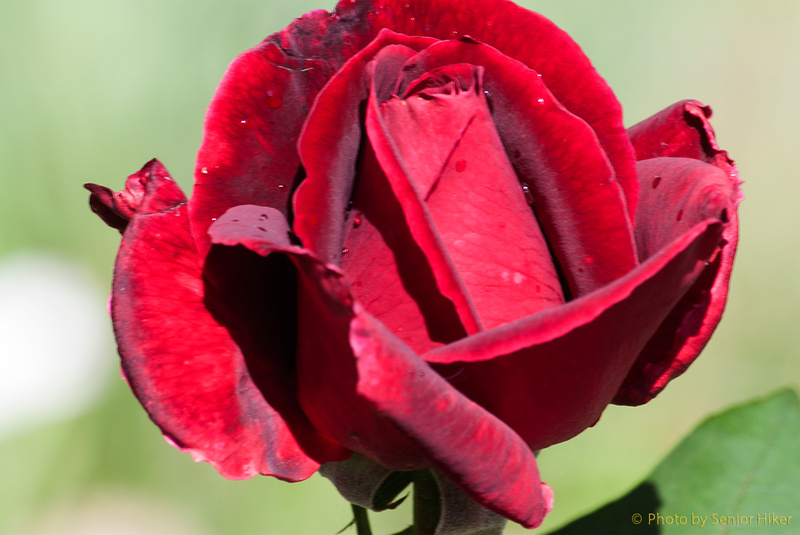 This is the tenth post on the roses in our yard. The previous posts can be found by clicking on the tag ‘Roses’ below. 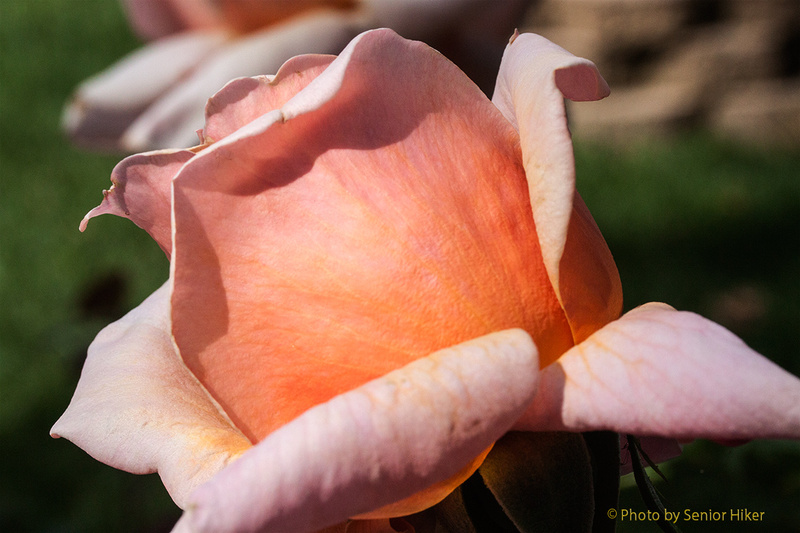 As the name implies, Perfume Delight (above) has a delightful fragrance. It also has a pretty pink color. Pink Peace, Fairfield Glade, Tennessee. April 30, 2012. 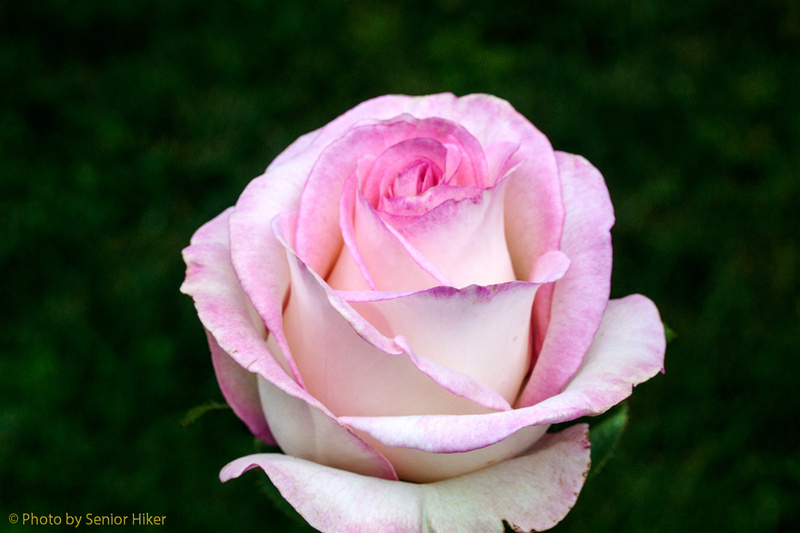 Another pink rose (this one’s a little darker pink) with a nice fragrance is Pink Peace. 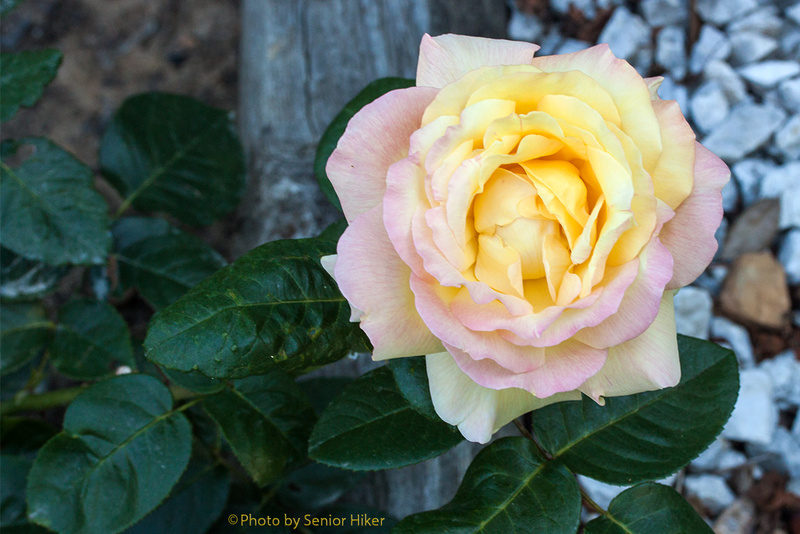 It’s one of several descendants of the Peace rose that we have in our yard. 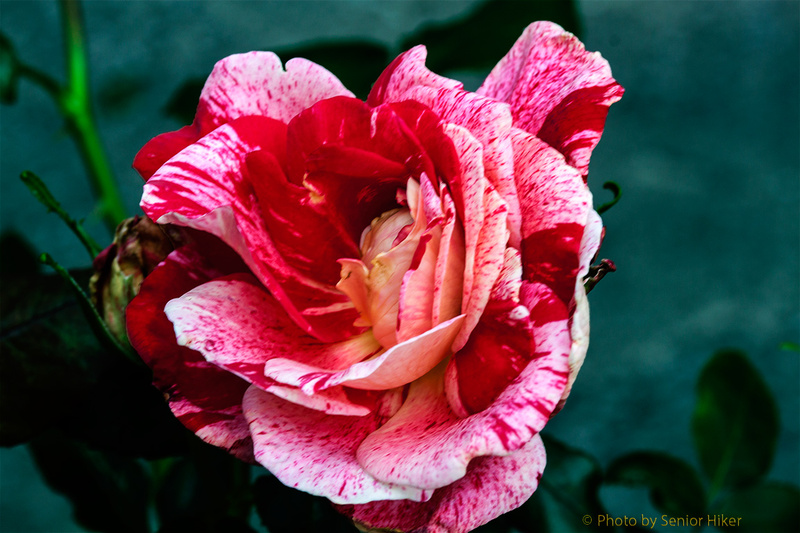 Ronald Reagan rose, Fairfield Glade, Tennessee. June 6, 2012. 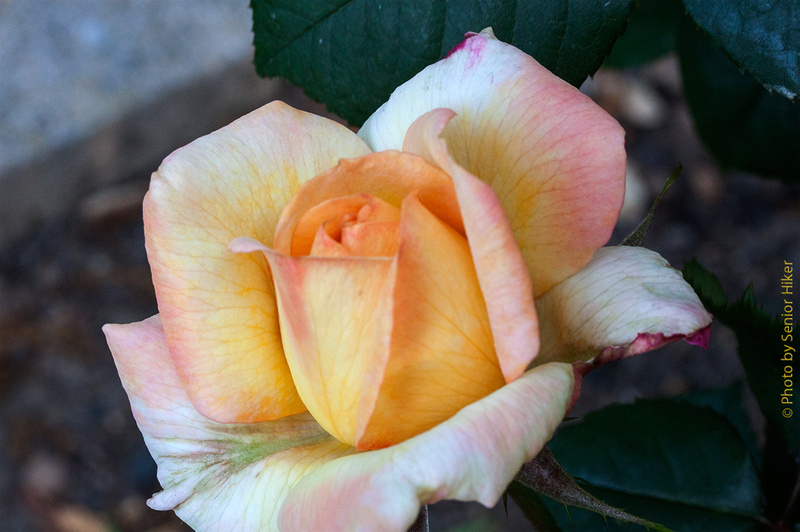 Ronald Reagan doesn’t have much of a fragrance, but it is a beautiful bicolor rose along the front of our yard. Sonia, Fairfield Glade, Tennessee. April 12, 2012. 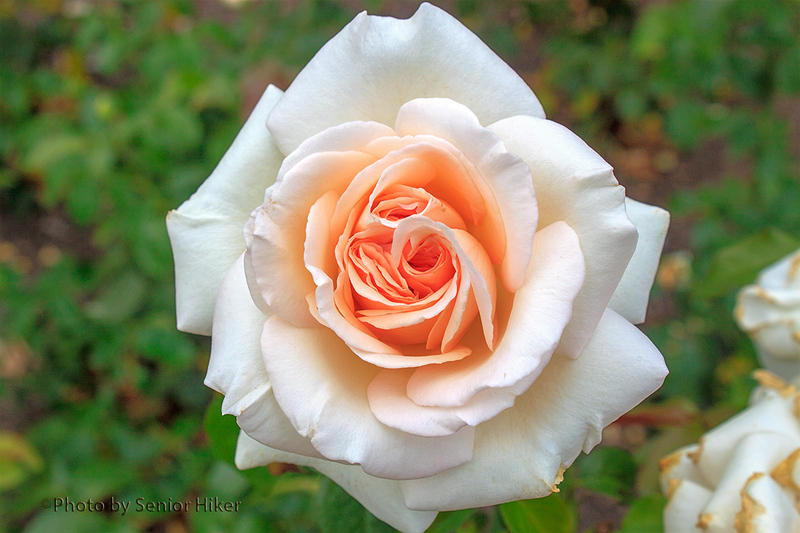 Sonia is a salmon pink rose that is a favorite with florists. We enjoy it’s fruity fragrance and classic form in our yard. Summer Nights rose, Fairfield Glade, Tennessee. June 9, 2012. 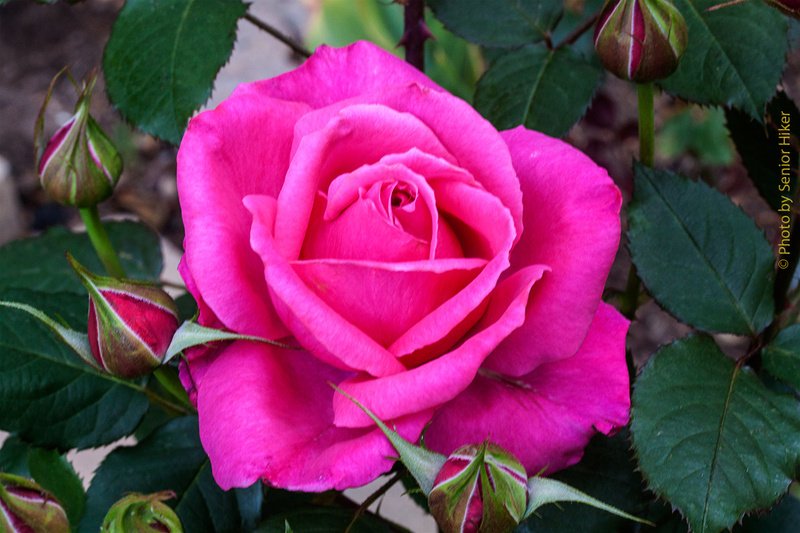 Summer Nights is the newest rose in our yard. I have no idea how it got its name, but we like its beautiful colors.